There are a lot of things that go into making a great superhero. The powers, the costume, the personality, their alter-ego/ secret identity all play a huge role. But what really defines a hero is the villains that they face. Whether it be thwarting would-be world conquerors or sending back alley lunatics back to whatever jail it was they broke out of this time, the villains are a quintessential part of any superhero story. But who has the best collection of villains to face off against? I'm not including The Avengers or the Justice League on this list because, whilst they do have fantastic rogues galleries of their own, often they may end up fighting villains belonging to one of their members rogues galleries (Loki, looking at you here), so they'll be left off so we can keep things simple. Other superhero teams not made up of All-Star line-ups do count though. Warning: 'Ere be opinions. Beware. Kicking of the list we have the team from the 31st century and their long list of members and almost as long list of enemies (most of whom do belong to their evil counterparts). Enemies wise you have The Legion of Super-Villains (including the League of Super-Assassins), the Fatal Five (containing 5 of the teams most powerful enemies in The Emerald Empress, Mano, The Persuader, Validus and Tharock), Nemesis Kid, Mordru, the Khunds, Time Trapper etc. However, when compared to some of the entries later on the list, there's no real stand outs here in terms of all time great villains (unless you count Darkseid from the New Gods but he's more of a JLA villain), so I can't put it any higher than 10th. And here we have a collection that includes two of the greatest super-villains of all time and one of the most recognisable alien races in comics. 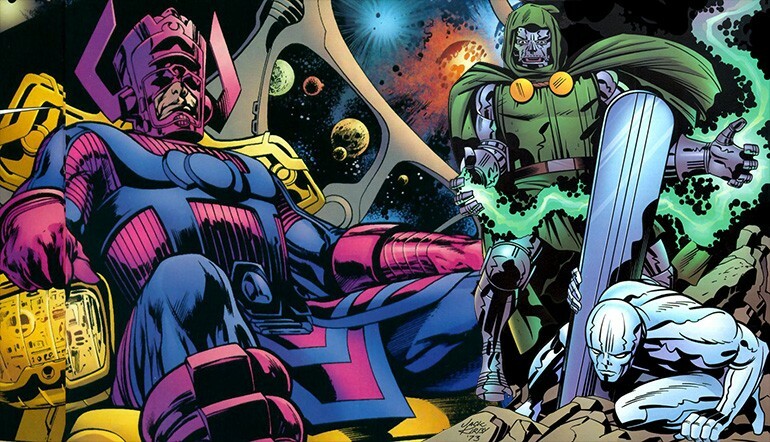 With the F4 you have Doctor Doom, Galactus, The Skrulls, Annihilus and that pretty much tells you all you need to know. It's mostly Doctor Doom to be honest, but that in its self would be worth an honourable mention. Other than those guys, the first family of Marvel have also had numerous run ins with other weird and wonderful villains, such as Mole-Man, Klaw, The Mad-Thinker, Terrax and Namor when he's in a particularly unfriendly mood. However, they're so low on the list because, in over 50 years of existing, the stories do tend to fall back on a single villain whenever they can. 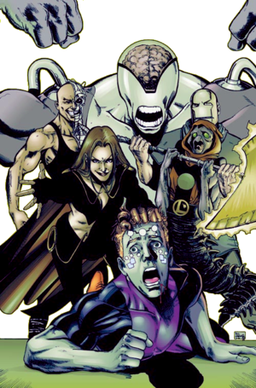 This rogues gallery grew exponentially during the War of Light storyline leading up to Blackest Night, however, it was still up there even before that. Obviously Sinestro is the stand out here, but you also have Hector Hammond, Star Sapphire, Krona, Black Hand, Nekron, Warworld, Major Disaster, Parralax, Atrocitus, then you start getting into the other Corps and the list goes on and on and on and on. And that's only the 5 members of the Green Lantern Corps to have been the main character in a comic. If we counted the original Green Lantern (which we aren't) this list would include guys like Per Degaton and Solomon Grundy, which would probably move it up a place or two. Technically, this rogues gallery does include Hitler in a round about kinda way... But anyway, Red Skull anyone? Then you've got the rest of Hydra, Baron Von Strucker, Baron Zemo (both of them), Arnim Zola, Crossbones, Doctor Faustus, Madame Hydra or Viper, Sin. Then you have the guys who aren't Hydra like MODOK and A.I.M, Batroc the Leaper, The Serpent Society, Taskmaster, even Winter Soldier. That's a pretty impressive list of people, Nazi or otherwise, looking to get beaten down by the symbol of America (even if he was a bad guy the whole time). So, this comic has all of Norse mythology to play with, is there any surprise it makes it onto a list of great rogues galleries? You've got Dark Elves (who are much better in the comics than the films), Hela, the fire demon Surtur, Laufey and the Frost Giants, Fenrir, Ymir and obviously that smug dude in the picture above. Then you have Gods from other pantheons such as Set or Ares, or characters made for the comics like Ulik the Troll, the Absorbing Man, The Wrecking Crew, The Destroyer, The Enchantress, Executioner, Mangog. It's a decent list, boulstered by the fact that it does include one of the greatest comic book villains of all time (and every fan-girls current favourite), but doesn't have to rely on him all the time (unless it's the MCU of course). Here is a rogues gallery that contains at least 1 of the top 5 greatest supervillains of all time, at least 2 of the top 20 and at least 4 or 5 of the top 50. Let's break it down, Lex Luthor, Brainiac, Bizarro, Doomsday, General Zod, Metallo, Mongul, Parasite, Ultra-Humanite, Cyborg Superman, Superman/boy Prime, Kryptonite Man... hell even Darkseid could count on this list. But, I guess when you've been fighting crime for 80 odd years, you do amass quite a few people who hate your guts. Just beating out Superman, we have X-Men. Out of all Super-teams, even including The Avengers and the Justice League, I'd say this lot have the best array of villains. You've obviously got Magneto and Mystique and Sabretooth, but then you've got the other members of the Brotherhood of (Evil) Mutants, Blob, Toad, Pyro, Avalanche, Destiny. You've got Apocalypse and Mr. Sinister. You've got Mojo. You've got The Sentinels. William Stryker, The Brood, Bastion, Lady Deathstrike, The Phoenix Force, The Hellfire Club, the list goes on. It's always been said that The Flash has one of the best rogues galleries in comic book history. And you know why they say that? Because it's true. He literally has a group that identify themselves as such. Such is the variety of Flash's gallery of enemies that it really is only beaten out by two other heroes. He has small time crooks like The Top to super-intelligent Gorillas in Gorilla Grodd to super dangerous lunatics like Reverse Flash. Then inbetween you have guys like Captain Cold, Mirror Master, Abra Kadabra, The Trickster, Pied Piper, Heat Wave, Weather Wizard, Captain Boomerang and Zoom, amongst others. Now, originally I was going to have a fake out ending for this post and set up for a list face off between Spider-Man and our number 1 for next weeks list. However, when I came to write that list, I realised that it would be pretty much a white-wash. However, that is not to sell Spidey short (it's more of a testament to our number 1 than anything), because his rogues gallery is still one of the greatest of all time. Green Goblin, Dr Octopus, Venom, Electro, Sandman, Kingpin, Kraven The Hunter, The Lizard, Scorpion, The Vulture, Chameleon, Carnage, Shocker, Hobgoblin, Rhino, Morbius, Morlun, Black Cat, Molten Man, The Looter, Hydro Man, the list goes on and on and on and on. He quite literally has enough enemies that you could do a weekly comic for an entire year and not repeat a villain. However, in my opinion (and as much as I love Spidey, I have to concede this), it's not quite the best. 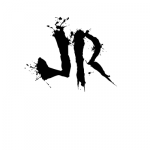 This list contains The Joker. That should say all you need to know. The fact that it also includes Catwoman, Penguin, Riddler, Mr. Freeze, Two-Face, Scarecrow, Bane, Killer Croc, Poison Ivy, Ra's Al Ghul, Mad Hatter, Clayface, Black Mask, Tweedle's Dum and Dee, Harley Quinn, The Ventriloquist, Calendar Man, Cluemaster, Hugo Strange, Man-Bat, Maxie Zues, Talia Al Ghul, Egghead. There's enough Batman villains to do a Top 100 list of the greatest Batman villains and that's no over-exaggeration. It's also the great original rogues gallery. A lot of heroes have villains that are derivative of Batman villains (especially Spider-Man, which is the main reason why Batman places at number 1 and Spidey is number 2). It's also impressive that multiple Batman villains have headlined their own comics (most famously The Joker, but Harley Quinn and Catwoman have had ongoing series, as well as numerous one-shot features for other villains), which few others out side of "major"important villains like Lex Luthor or Doctor Doom have done. So, that's my list. Feel free to tell me how obvious the top 3 were and how so and so has a much better collection of enemies than whoever in the comments below. Well, number one was obvious. I’m not the most informed comics reader, [understatement alarm goes critical] but I knew that. Batman was just too formative to the comic world, too archetypal to the audience’ psyche to NOT have the best villains. I never took a second look at the Flash’s rogues gallery. He really goes up against some wicked villains. You forgot King Shark! Neat! I checked the DC wiki and sawa picture where his head looked a bit like a toaster…”Toasterhead, destroyer of worlds etcetera”…I wonder if he’s met the Cybershades. Oh, and check my blog-thing on the forum for my political opinions!